8 hours a day at work. That's a third of your life! 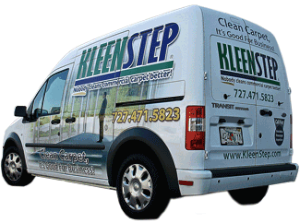 At KLEENSTEP we have access to every method of commercial carpet cleaning in the industry. 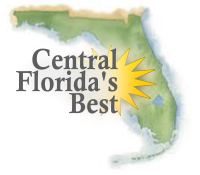 We can provide hot water extraction (steam cleaning), as well as low moisture methods like encapsulation, bonnet cleaning, and dry powdered methods. Having a variety of tools at our disposal enables us to handle every situation with the ideal cleaning process that each job requires. 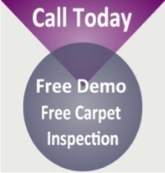 If you'd like to see the carpet care products we'll be using - click to view. We are also excited be offering GREEN carpet cleaning. 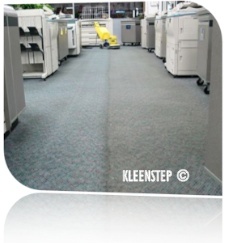 We can clean your LEEDS building with a GREEN cleaning product, BIO-ENCAP from Releasit. Your carpets will look beautiful and there's minimal impact to the environment compared to traditional cleaning methods and products.